Cavalry Park industrial estate in Peebles. A company director has been given a further two-year road ban at Selkirk Sheriff Court for driving while disqualified. Russell Blackhall, of Damside, Innerleithen, pleaded guilty to that offence and also to driving with no insurance. The court heard that the 55-year-old is normally driven to and from his environmental consulting engineering firm’s office at Cavalry Park in Peebles, but on the day of the offence his wife took ill at work and wanted to go home and he agreed to take her. Defence lawyer Greg McDonnel said: “He should not have driven her home but stupidly did so. He could have organised it differently so he has no reasonable excuse. “He was aware of the risk he was taking but did not think through the consequences. Sheriff David Clapham said it was a serious matter and could not be dealt with by way of a fine. 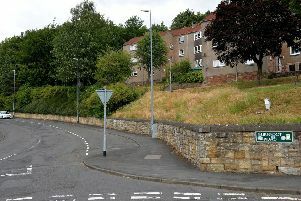 Instead, he ordered former Walkerburn Rugby Club president Blackhall, boss of Env Consulting Engineers, to carry out 80 hours’ unpaid work as part of a community payback order and further disqualified him from driving for two years.